Imagine staged this NE Portland living room with a mix of contemporary colors. demographic. Each Portland, Oregon neighborhood has a distinct culture or style that defines the community. Of course, communities may have several cultures or sub cultures. Generally, though, one area-the suburbs, for instance– will require a different lifestyle staging than more urban communities in Portland. 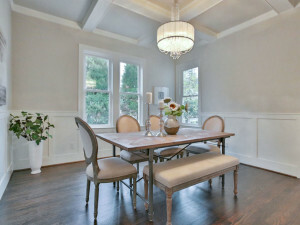 Lifestyle staging is bringing in furniture and elements that the targeted buyer relates to on an emotional level. It’s setting “a stage” which speaks to the desired lifestyle for the potential buyer, Staging is based on marketing principals. Everything for sale is marketed in one way or another, and almost everyone buys a product based somewhat on emotion. Real Estate is no different. 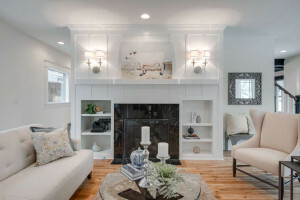 Just a few years ago many sellers in Portland had never heard of staging, With the influence of HGTV, now almost everyone knows what staging is. Within the past few years, staging has evolved to a more sophisticated level. When staging first started, adding a couch, chair, area rug, and some throw pillows was all that was required to set the stage. Now buyers expect and respond to staging for a lifestyle. They want to imagine themselves living in the space. They want an emotional connection with it, as a result, stagers who target lifestyle are the most successful. 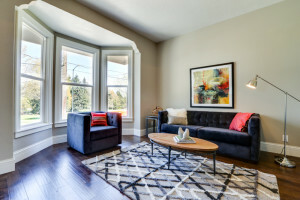 Their staged listings sell faster, often with over asking or with multiple offers, They have made a connection on an emotional level, and staged the home to fit the buyers view of the possible lifestyle they will live with the purchase of the home. Examples of lifestyle staging include adding children’s bedrooms to areas heavily populated with families. In areas with older homes such as Sellwood, adding hints of vintage decor, such as a vintage typewriter to the office will relate to the age and the style of the home. Many neighborhoods in Portland live a sustainable lifestyle, adding organic elements such as reclaimed wood tables or an organic cookbook will appeal to their sustainable lifestyle. The Pearl district is harder to define as there is quite a mix of demographics!. The key to staging in the Pearl depends on the building’s style, as well as the space and list price. But generally clean lines, contemporary furnishings and minimalist decor will appeal to most Pearl lifestyles. Definition and use of space is one to the trickiest and most important factors as many of the condos are open lofts. Lifestyle staging incudes observing what the neighborhood offers, which is one of the main reasons buyers flock to certain locals. I always take a drive through neighborhoods before viewing a potential staging. It gives me clues to what the vibe is. I look for shops and what they offer, at restaurants and book stores, schools, and food markets. I look at the age of the residents, and if they tend to walk or drive to their destinations. Once I get the feel, I know more of what the potential buyer is looking for. The house gives further clues on how to set the stage. I consider how many bedrooms it has, and if there is a yard, or other outdoor spaces. All give clues to who is likely to purchase the home and the lifestyle they expect to live.